In the example above the user will see the data prior to the update and after the update and depending on whether they are happy with the results or not they either Commit or rollback. This is certainly not a way in which I would recommend making updates,especially if you value concurrency as people tend to forget they have transactions open 🙂 . So the current identity seed is 1 and we have no data , nothing unusual there. Lets Insert a row inside of a transaction and rollback the change, to illustrate the before and after effects during the transaction I will include before and after sql statements too. We can see from the above screenshot that during the transaction there were no rows until we made the insert and then we rolled the transaction back, just to prove that the insert was rolled back here is the data now. No rows as expected, so what about the Identity lets check to see if that rolled back too. Result: 1 so on the face of it this looks sound! lets try making an actual insert this time then immediately check IDENT_CURRENT and the data in the table. Interesting! this inserted ID 2 even though ID 1 does not exist and we thought we rolled it back! So lets test this out by spinning through a bunch of inserts and rolling back all the even iterations, I have dropped and recreated the table for this test. The first thing I would assume if I saw gaps in the ID like this would be that someone deleted some data but I would never have even considered that its possible to cause the same gaps by rolling back an insert. 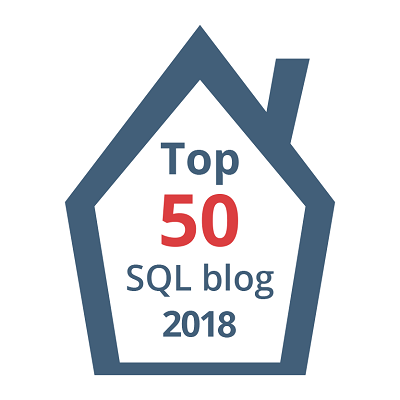 Specifically in SQL 2012, there was also a peculiar issue where, if you restarted the SQL Server service, you would suddenly get identity gap jumps of 1000 or 10000 values. This was because identity values were cached somehow in memory and then lost when the SQL service was stopped. Hi Eitan, didn’t know about that issue with SQL2012. Thank you for sharing! Thanks this is interesting as I would have expected the rollback to roll everything back including resetting the sequence. Another interesting variation on the use of identity columns is that the order of the IDENTITY column isn’t necessarily the order in which the change was committed to the transaction log. 3. when the locks have been granted, then the change is committed. For most people this is never a real problem, but it can show up as odd behaviour if you are consuming the just written rows (using the identity as your key for which rows you have already consumed) or if you are processing data from replication/log shipped results, where it looks like the last n records have gaps in their IDs. A very interesting point indeed! Thanks for sharing Andrew!